Current WBO World bantamweight champion Marlon Tapales of the Philippines is set to defend his title on April 23, 2017, against his former Japanese opponent Shohei Omori in Japan. 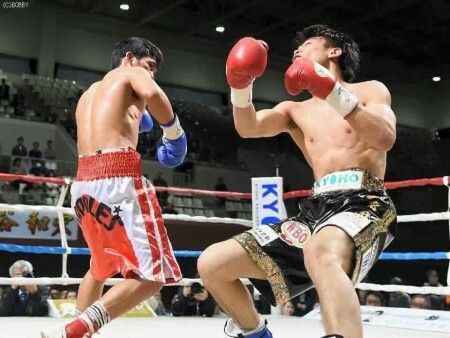 Tapales is coming off a big win over the highly rated boxer from Thailand Panya Uthok (Phuengluang Sor Singyu). He defeated the former champion in Thailand via KO in the 11th round. It was a big win and Tapales just proved that he is one of the elite fighters in the Bantamweight division. Tapales is currently ranked no. 3 in the bantamweight division behind WBA champion Jamie McDonnell of UK and WBC champion Shinsuke Yamanaka of Japan. On the other hand, Shohei Omori is a 23 years old boxer with the record consisting of 18 wins including 13 big victories by way of KO and has only 1 defeat. He was defeated by Marlon Tapales in 2015 via 2nd round KO in a title eliminator fight but comes back with his 3 consecutive KO victories including his fight against Rocky Fuentes. Omori just knocked out cold the Filipino veteran Fuentes last December of 2016 in the 3rd round. Tapales vs Omori 2 will be held possible in Kyoto or in Osaka, Japan.